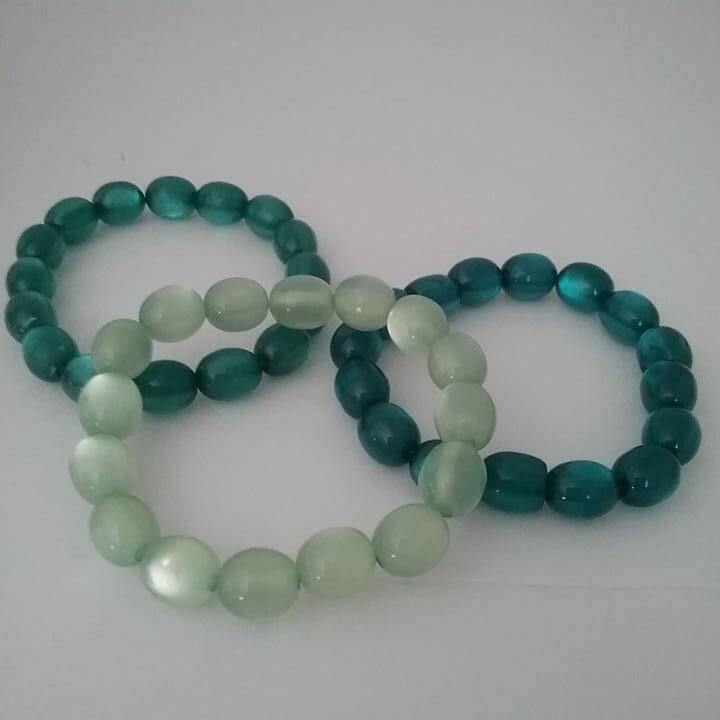 Moonglow green bracelets. 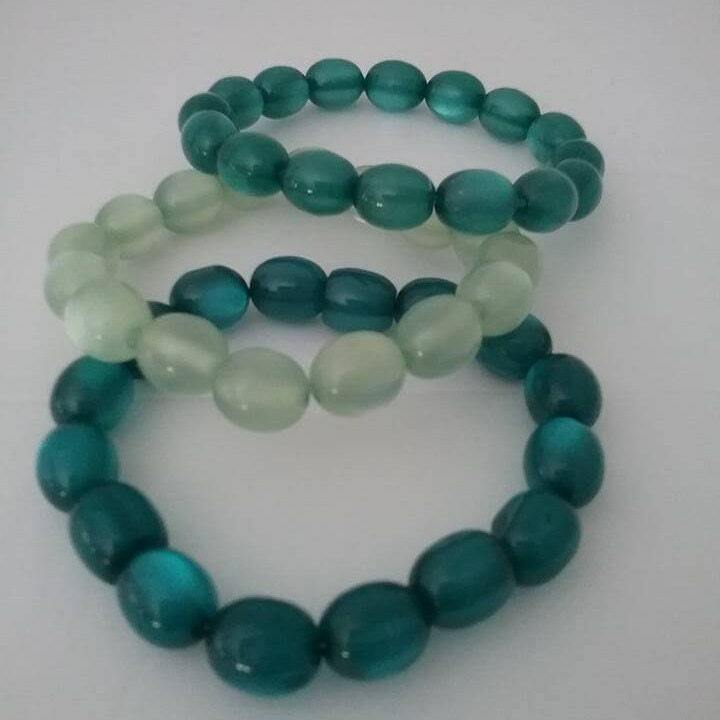 Outstandingly gorgeous set of three stretch glass beads bracelet. 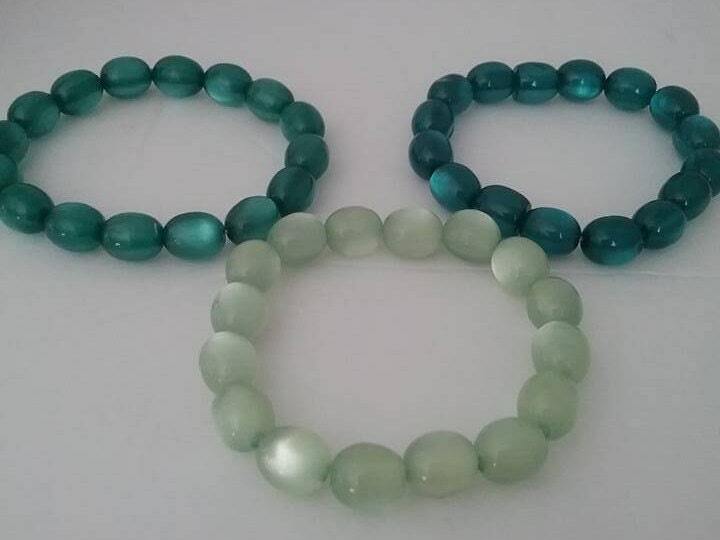 Two are stunning jade color and one aventurine light, translucent green. Truly beautiful pieces will bring many compliments and enhance your outfit. A simple statement....simply gorgeous.